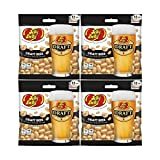 Forget those salty bar peanut snacks and slide over a bowl of these cool new Jelly Belly Draft Beer Flavor Jelly Beans instead. 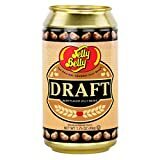 Yep, these weird jelly beans taste just like a freshly poured draft beer, minus the alcohol. 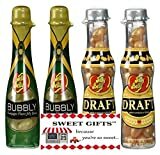 Each jelly bean has a crisp and effervescent draft beer like flavor and an iridescent jeweled finish to give it a fresh from the-tap bubbly look. 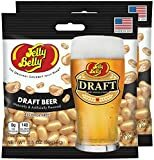 The good news is that the only seal you'll break eating these fun beer flavored beans is the bag they come in and the bad news is that eating too many will probably still lead to a beer belly. Interestingly, these are for ages 3+, but I probably wouldn't put them in your kid's school lunch. Please munch responsibly.